Sumit understands the healing aspect of heat. “It’s simple”, he says, “In a yoga class, you practice poses that require stretching and compression of the joints, muscles, ligaments and other supporting structures of the body. Your body naturally protects itself from physical exertion by generating heat from the inside muscles outwards. We start with the heat up front… providing that extra protection from the very first poses. Another added benefit is that your body burns fat more effectively. It’s not uncommon for our students practicing regularly to lose inches of shape in a relatively short time”. 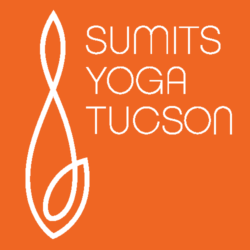 Sumit encourages all students – newcomers and experienced students alike – to begin and maintain a consistent practice regardless of the style preferred. “You’ll benefit from class by your effort regardless of how far or deep you get. As long as you are feeling it and you are breathing calmly, you’re practicing correctly”.